The Camden SMART Team serves as the organizing entity to facilitate the implementation of the Camden SMART Initiative. The Camden SMART Team is a coordinating group comprised of the City of Camden, Camden County Municipal Utilities Authority, Cooper’s Ferry Partnership, Rutgers Cooperative Extension Water Resources Program, New Jersey Tree Foundation and the NJ Department of Environmental Protection. The Camden SMART Team, together with our public-private partners, community organizations, and most importantly, Camden residents, will develop a comprehensive network of green infrastructure programs and projects for a greener Camden. Under the leadership of Mayor Dana L. Redd, the City of Camden is deeply committed to the implementation of the Camden SMART Initiative. Strengthening communities and revitalizing neighborhoods in the City of Camden includes not only economic sustainability, but also environmental sustainability. Effectively managing stormwater in the City of Camden not only will help prevent neighborhood flooding and combined sewer overflows, but can also tackle other issues such as air pollution, recreational needs and neighborhood beautification. The City of Camden is dedicated to educating residents and community leaders about the benefits of stormwater management and green infrastructure through neighborhood projects, training programs, and the incorporation of stormwater management into city policies. The Camden County Municipal Utilities Authority (CCMUA) is responsible for the treatment of sewage discharged from properties in Camden County. Inefficient management of stormwater, especially where there are combined sewers, impacts the capacity of the CCMUA to treat wastewater and increases the incidence of combined sewer overflows to the river. The CCMUA is supportive of the Camden SMART Initiative as it may reduce the quantity of stormwater that 1) is conveyed to CCMUA plant, 2) discharges to the Delaware River, 3) floods Camden's streets and/or residents' homes. As a Camden SMART partner, the CCMUA has pledged to assist with project coordination and implementation, as well as the identification of potential funding for the initiative. 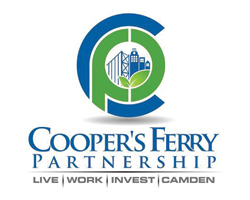 Cooper’s Ferry Partnership (CFP) is a private, non-profit corporation that works with community development corporations in the City of Camden to provide technical assistance on a wide range of revitalization projects. With a strong commitment to public-private partnerships, CFP will support the network of community organizations with project coordination and implementation. Looking forward, CFP will continue to develop the SMART Initiative framework, including job training and resident education components of the program. CFP will also identify opportunities for large-scale green infrastructure and green development within the City of Camden. Finally, CFP will assist the City of Camden in the development of stormwater management and environmental policy on the citywide level. 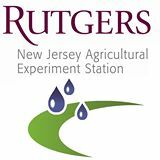 The Rutgers Cooperative Extension Water Resources Program (RCE) is a major contributor to the SMART team through its preparation of a comprehensive feasibility study for the implementation of green infrastructure projects in Camden. Working at the neighborhood level, RCE is dedicated to educating community leaders and residents through a series of local workshops and community meetings. To ensure the longevity of the initiative, RCE will provide technical assistance and job training to local organizations and contractors for green infrastructure project implementation and maintenance. RCE will also work alongside the other SMART partners to secure funding for the initiative. The New Jersey Tree Foundation’s (NJTF) Urban Airshed Reforestation Program (UARP) has been conducting stormwater management activities in the City of Camden since 2002, with the removal of 65,000 sq. ft. of impervious surface and planting of over 4,000 trees. One tree at a time, NJTF has improved environmental quality in Camden through its coordination of community-based tree and shrub/perennial plantings and its TreeKeepers program, which empower residents to become environmental stewards in their communities. With a strong commitment to the city, the NJTF will work through Camden SMART to plant trees that maximize stormwater management while beautifying communities and carrying forth the UARP mission. NJTF will also engage the local community in Camden SMART meetings, planning activities and implementation projects. The New Jersey Department of Environmental Protection (NJDEP) is continually striving to protect the air, waters, land, and natural resources of the State of New Jersey to ensure continued public benefit. NJDEP has targeted experience in Camden and is working towards to the effective implementation and enforcement of environmental laws to protect the health and safety of Camden residents. NJDEP has pledged to offer institutional support for the SMART Initiative and its efforts to eliminate the disproportionate environmental hazards in the City of Camden. NJDEP will also aid in locating additional funding for the maintenance of the program.